So yes - the world kinda ended - but that doesn't mean we have to stop making the show! Right? Hello? Is anyone there? Oh, hey. Wait, what was I saying? Mm, right. 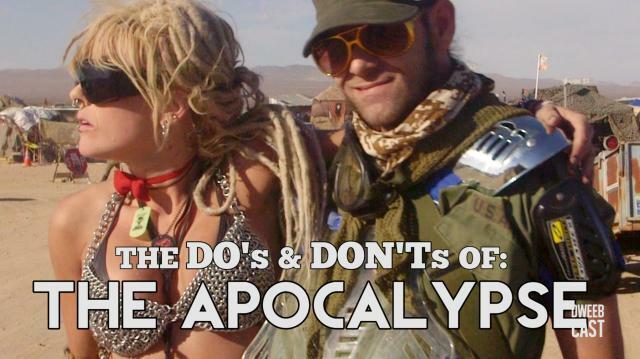 Here's a helpful guide now that the world is over: it's The Do's and Don'ts of the APOCALYPSE!